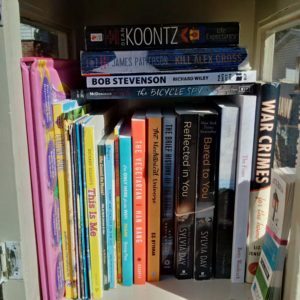 A shelfie is just a little bit of fun. 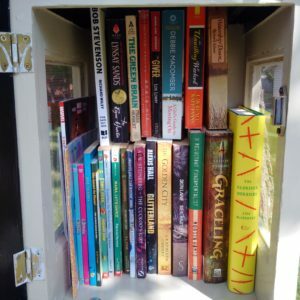 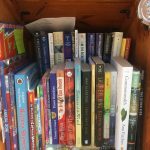 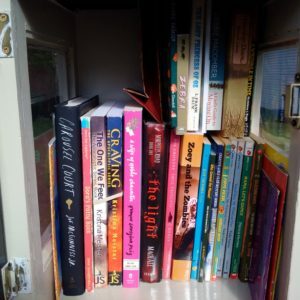 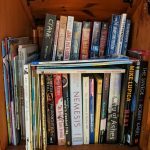 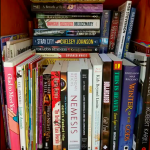 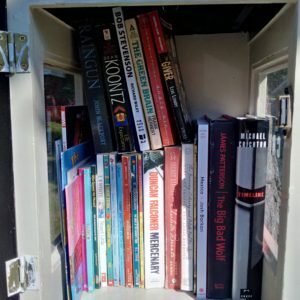 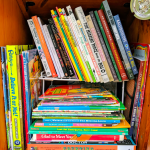 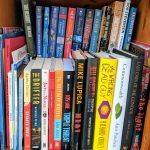 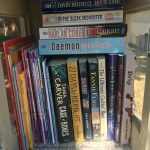 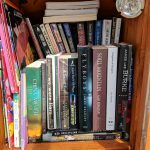 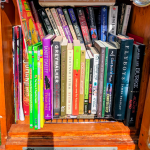 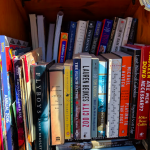 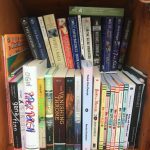 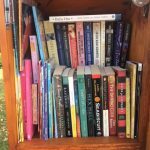 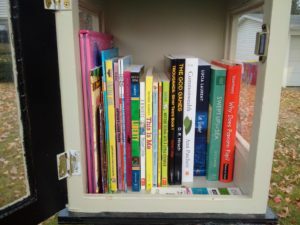 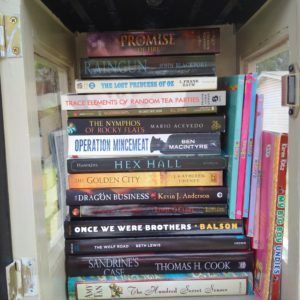 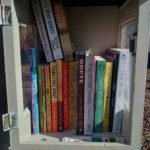 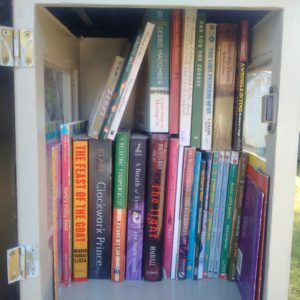 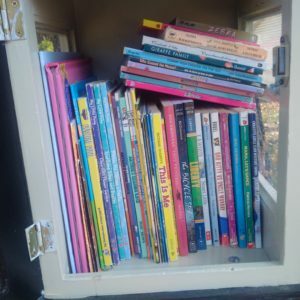 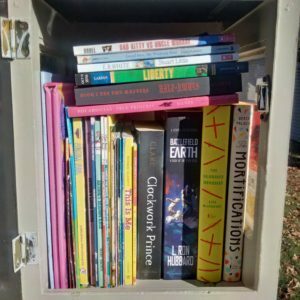 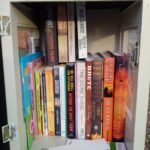 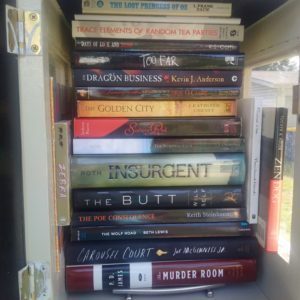 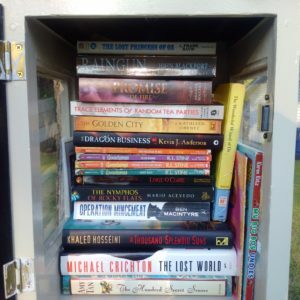 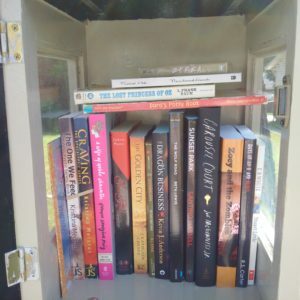 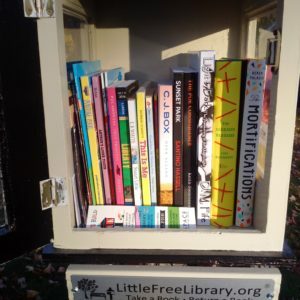 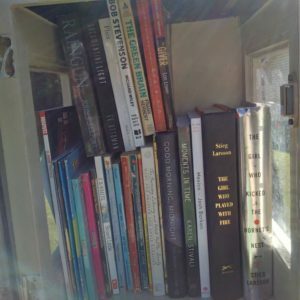 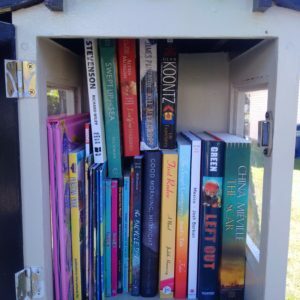 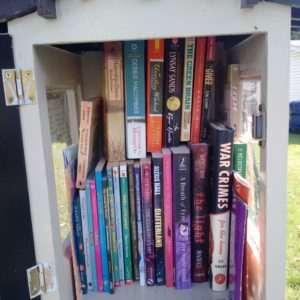 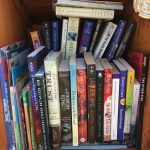 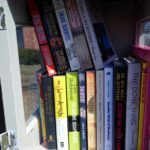 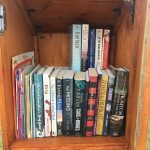 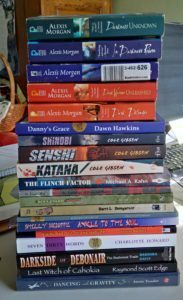 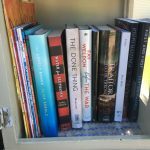 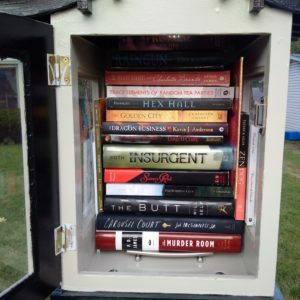 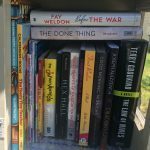 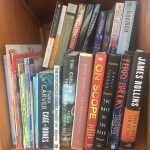 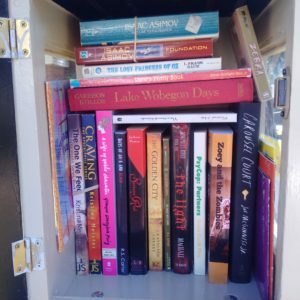 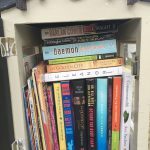 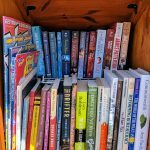 As the steward of a Little Free Library I get a kick out of seeing what comes through and thought I’d share. 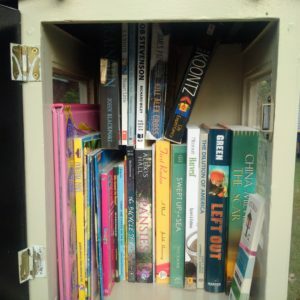 I’m aiming to post a picture every Saturday, though expect some flex in that. 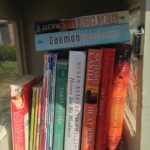 I get excited sometimes and take three a week, or forget for three weeks straight. 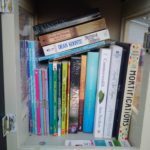 So, you know, I aim for once a week. 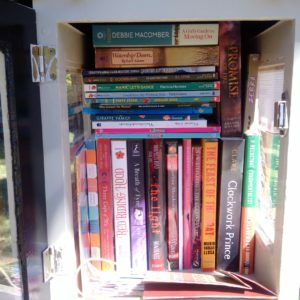 We’ll see what actually happens.